Let’s take a tour through some odd (and often uninviting) destinations in the U.S. from decades past. 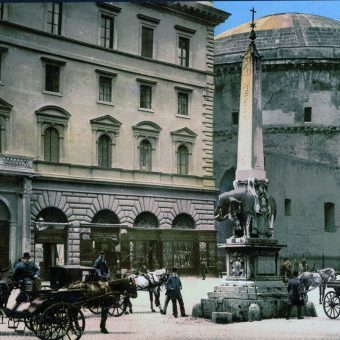 If you have a penchant for nostalgia, old postcards or just the unusual, these might actually be fun destinations off-the-beaten path. Behold, the World’s Largest Duncan Phyfe Chair in Thomasville, North Carolina. Not the only giant roadside chair in the US, but the only one that can boast it was sat in by President Lyndon B. Johnson. Thomasville calls itself “Chair City” and “Chair Capital of the South” – so, I suppose it made sense to erect a gigantic chair here. There have been a number of giant chairs built – each battling to be the biggest. The World’s Largest Log Chair is said to be in Deadwood, South Dakota. “Big John” in Franklin, Indiana was said to be the World’s Largest Rocking Chair until it was unseated (pun intended) by one in Casey, Illinois. 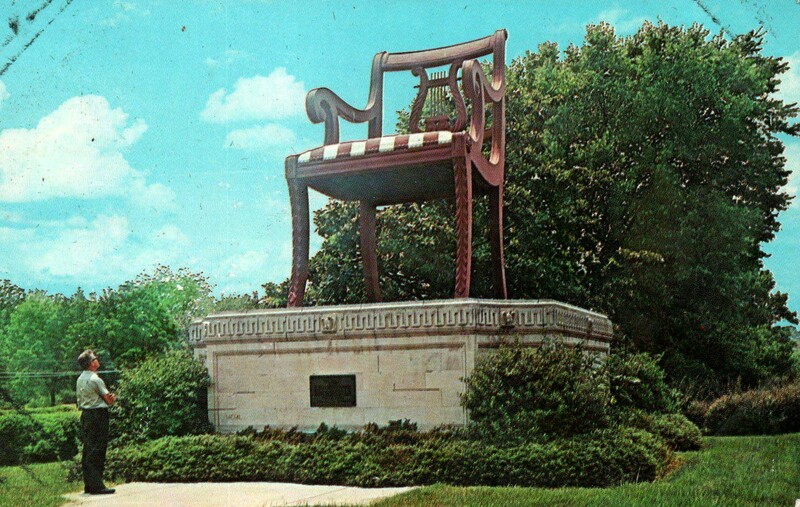 The “Chair of the Giants” is in Sugarcreek, Ohio, and the World’s Largest Office Chair finds its home in Anniston, Alabama…. It’s an odd tradition, but the war rages on to this day. I get that Parke County is an extremely rural area (with 17,000 in the whole county today; undoubtedly much less back when this postcard was taken)… but is the best they could do? 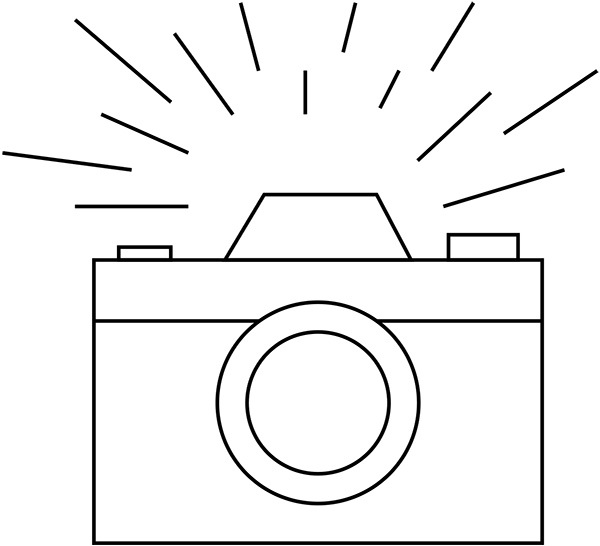 Parke County is known as the “Covered Bridge Capital of the World” – so maybe feature a covered bridge instead of a couple yokels who clearly aren’t ready for the limelight? 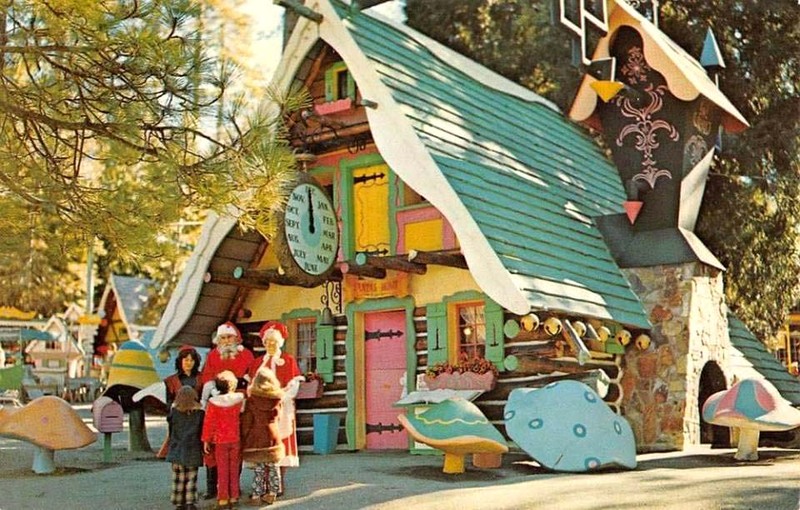 Storybook Land is a theme park in South New Jersey near Atlantic City. It’s been around since 1955 and features storybook themes like Mother Goose and The Three Little Pigs. 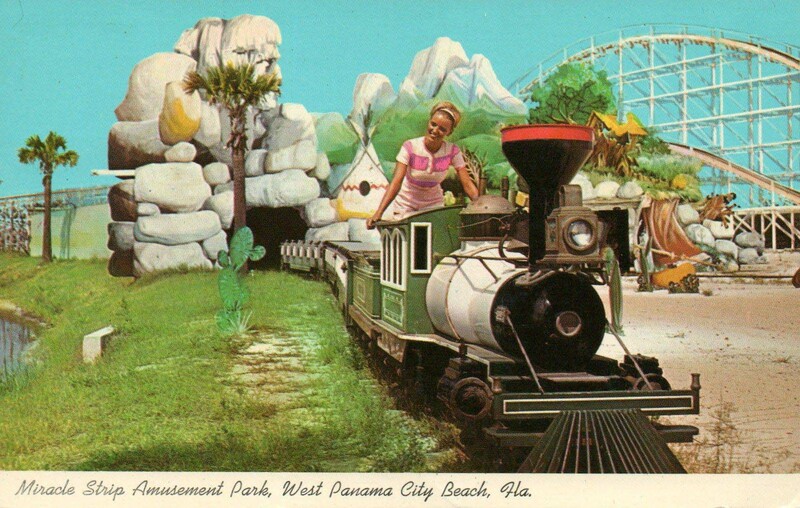 Why they have a postcard of a desolate Santa’s Village, apparently in the middle of summer is a mystery. 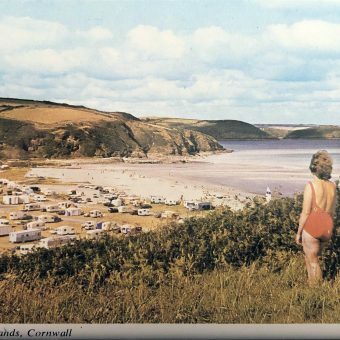 Sadly, the place started going downhill in the 1980s (about a decade after this postcard was made). By 1999, crime ravaged the area and the largest heroine bust in the county’s history was made at the once-classy Minuet Manor Motel. 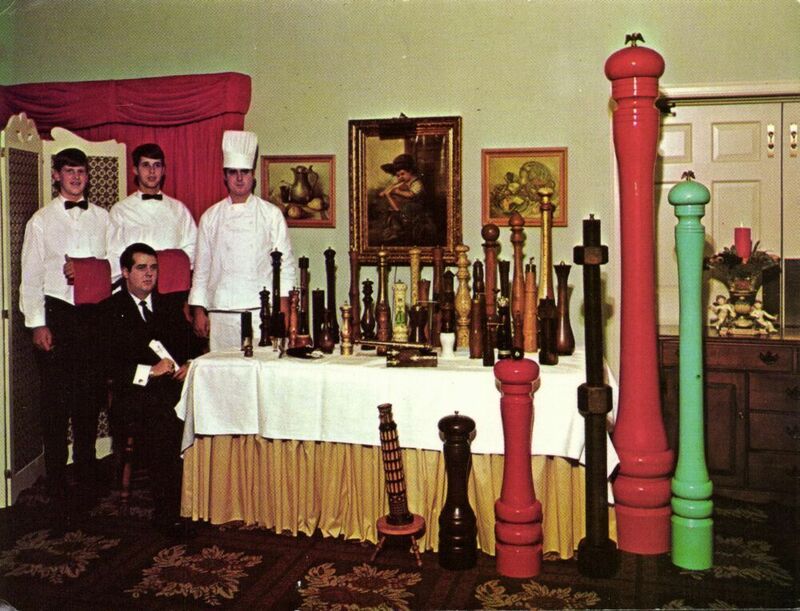 Sadly, the proud home of the “world’s largest peppermill collection” no longer exists. 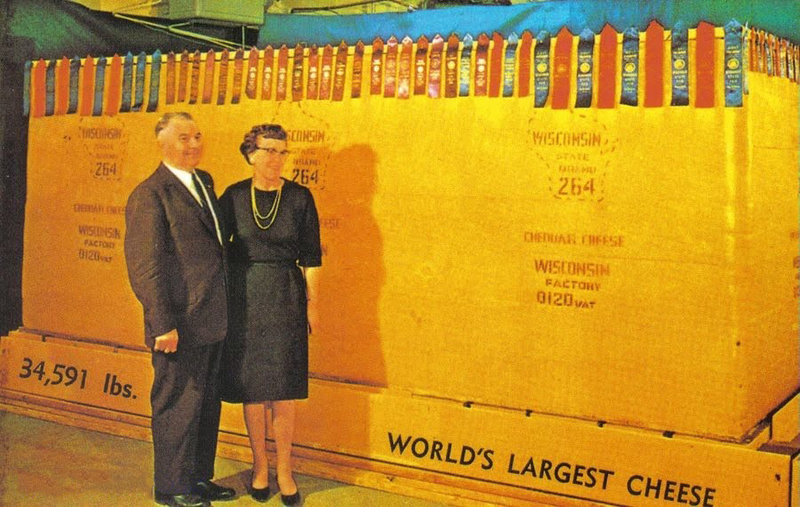 The card reads: “This famous cheese was on display at the New York World’s Fair… 34591 lbs.” I understand Wisconsinites are proud of their cheese, but room-sized monuments are taking it a bit far. Hello, from The Pillory on the old Sturbridge Village Green. These days, Sturbridge Village Green is New England’s biggest outdoor living history museum – with bigtime reenactments and shows like Sleepy Hollow, plus renowned beer festivals. 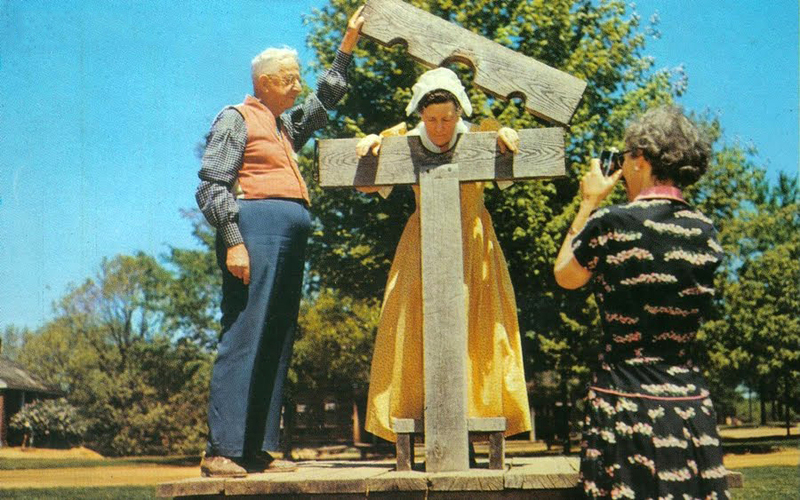 But now have a look at this quaint postcard depicting a sad little pillory scene from decades past…. Let’s just say, they’ve come a long way. Don’t these wax images of pirates and their wenches make you want to get in your car and go? The museum opened in 1963 on a beachside location in St. Petersburg. By the 1970s it acquired the name “Louis Tussaud’s London Wax Museum” – clearly ripping off the Madame Tussaud brand (a name purchased by the “Ripley’s Believe It or Not” company who used a descendant of Madame Tussaud to get the rights to the name). 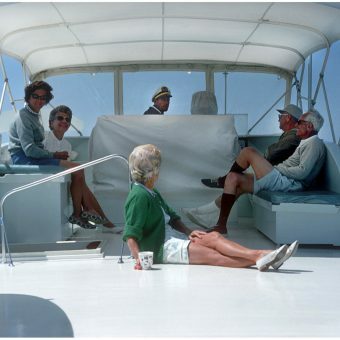 By the 1980s, crowds began to thin. The museum resorted to using pop culture icons such as Rambo and Freddy Kreuger of Nightmare on Elm Street to lure in the kids. But it was no use, and it closed its doors in January 1989. Reno has always lived in the shadow of Vegas; it’s always been a cheaper, more-than-slightly drab and dingy version of Sin City. A little further south, Lake Tahoe could at least boast of their scenic lakeside locale – and it’s gotten a lot more upscale over the years. 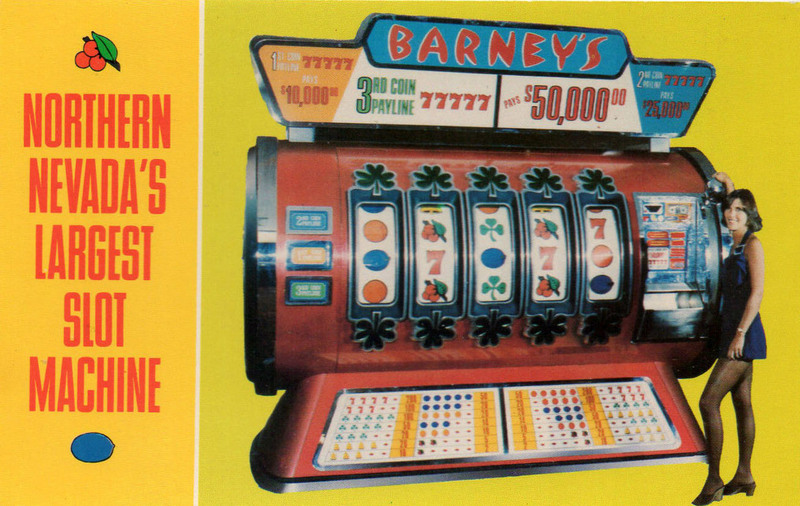 In the 1960s and 70s, however, it was barely a step above Reno… but maybe a giant slot machine will get you here? It’s not the world’s largest – not even Nevada’s largest – but it’s Northern Nevada’s largest slot machine! Barney’s Casino opened in 1961, owned by Barney O’Malia, who died in an unsolved car bombing in 1968. The casino changed to “Bill’s Casino” in 1987 under Harrah’s ownership, and boasted a McDonald’s on the second floor. Classy! 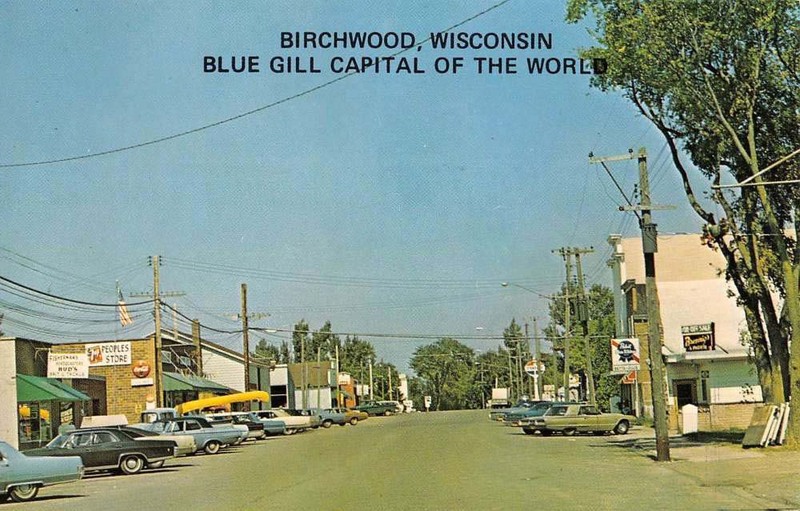 Birchwood, Wisconsin – Blue Gill Capital of the World. 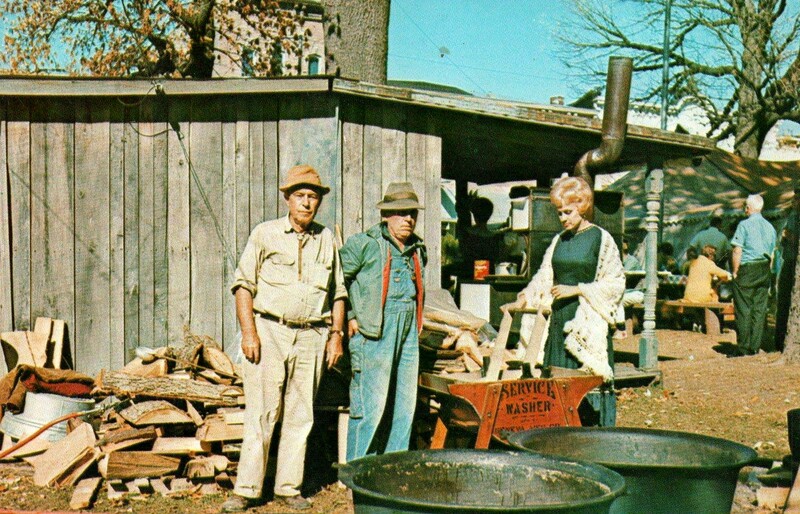 In case you didn’t notice – there is a conspicuous lack of Blue Gills in this postcard! Birchwood is the definition of a rural, sleepy little town – boasting a whopping population of 442 people. I guess in the 1960s they decided to lure in tourists claiming to be the Blue Gill Capital of the World – it was a nice gimmick; unfortunately, as this postcard demonstrates, the marketing execution could have been better. These two ladies are about to run a gauntlet that traces its roots back to Olney, England. The ladies have run a course to a church, all the while flipping flapjacks in a skillet. 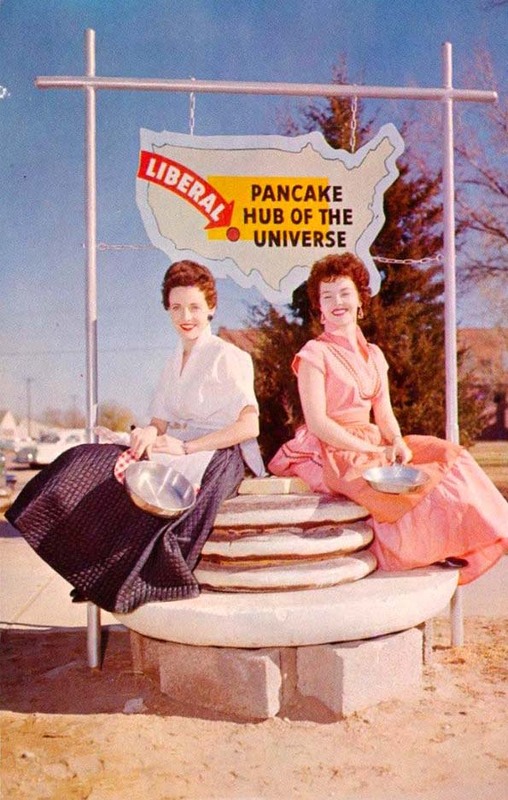 The starting point is that giant statue of pancakes. The tradition continues to this day. Well, it’s been a pleasure traveling with you. Until next time!